Take a 45-minute trip up Route 69 from Indianapolis, and across the rolling expanse of farmland and small towns that dot this beautiful region. You’ll find the bustling city of Anderson, IN. Once a major player in the automotive industry, today Anderson still proudly carries on its industrious legacy of hard work and family values. If you’re a driver in search of an Anderson area Toyota dealer, consider making Andy Mohr Toyota your next destination. To learn about our wide inventory of new, used, and certified Toyota vehicles, continue reading below. Since the mid-19th century, Anderson has been a major industrial center, at one point earning itself the nickname, “Pittsburgh on the White River.” Its history as a car town began in the early 20th century when General Motors opened a manufacturing plant just outside the city. Generations of Anderson residents help build the automobiles that would help reshape not only America, but the entire world. Today, Anderson continues as a major economic center for the region and also serves as the county seat of Madison County. Home to Anderson University, this vibrant city offers its citizens the perfect balance between small-town values and the excitement and convenience of urban-living. 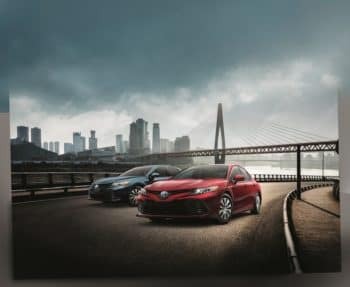 Whether you’re in search of a dependable and fun-to-drive pickup like the Toyota Tundra or a sleek and sporty sedan like the Toyota Camry, our dealership near Anderson can help get you behind the wheel of your perfect new vehicle. To begin your car buying journey, take a look at our online gallery to explore all of our new, used, and certified pre-owned vehicles we currently have available. Once you’re ready for a more hands-on experience, stop by our convenient location to meet with one of our friendly and experienced sales team members who can help you further narrow down your options. Once you’ve narrowed your search and found the perfect vehicle, our team of financing professionals will get to work on securing you the best available financing options to fit your lifestyle and budget. They’ll patiently help you through each step of the process and answer all your questions, so you can drive off in complete confidence. To get started, fill out an online financial application and once submitted, our team will get to work on securing you a range of options ahead of your visit. At Andy Mohr Toyota serving Anderson, we also offer a number of special rebates and discounts including our Toyota College Grad Program as well as special programs for active or retired members of the US military and their families. Our commitment to you doesn’t end once you drive off in your new Toyota vehicle. Our state-of-the-art service center is staffed by a team of factory-trained technicians who are highly-skilled at keeping your vehicle running at its best performance. So, whether you’re in need of routine maintenance or more serious attention, simply stop in during service hours or schedule a service appointment online. 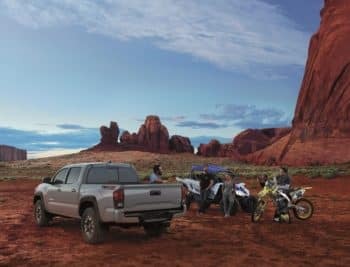 If you’re the type of driver who prefers handling their own maintenance, our parts center provides only genuine OEM parts and accessories that match your Toyota’s exact specifications. Simply stop in or you can order everything you need online. Schedule a Test Drive at Our Anderson Area Toyota Dealer Today! At Andy Mohr Toyota, we’re committed to providing drivers throughout Anderson, IN, with a truly personalized car-buying experience. 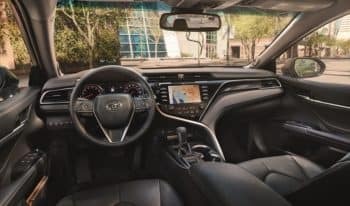 So, if you’re ready to get behind the wheel of your next new, used, or certified pre-owned Toyota, stop by our showroom or schedule a test drive today!